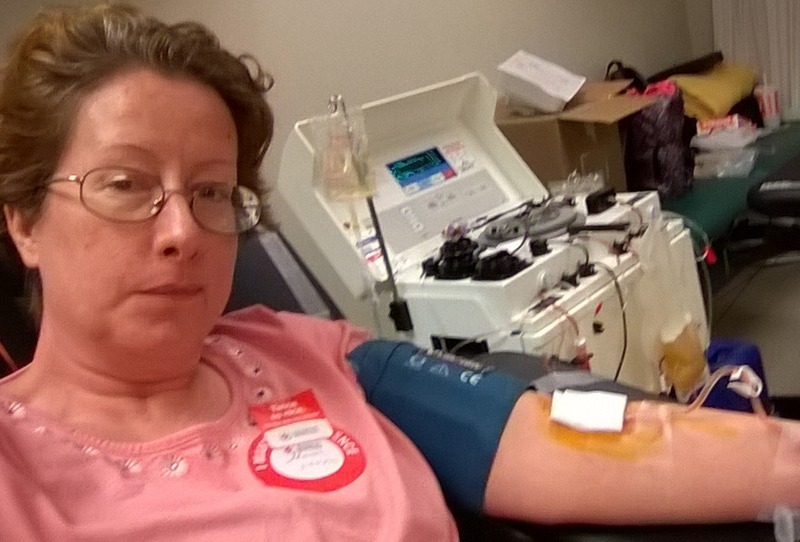 I forgot to blog about my experience with donating blood. In fact, I mentioned only in passing before, so I wanted to share more details on this. My sister Robin donates regularly. She’s given gallons of blood, and although I can never hope to exceed her achievements, I intend in following in her footsteps and do what I can. She inspired me to start donating in the first place. The first step is signing up and scheduling a donation. Go to Red cross.org and enter your zip code to find a local donation center. You will see a list of donation centers with dates and times to choose from. Select a donation center then selection the time you wish to donate. You will notice that generally its blood, but you can also select to donate Double Red Cell. This takes longer and counts as 2 pints of blood, and not everyone can donate. I was told I had to be at least 5’5” and 150 lbs. I barely reached the requirements. Once you make your choice, you will be prompted to confirm your appointment. You can get reminders sent to your phone if you need it. You will also get an email to confirm and instructions to follow at your appointment. Once there, they will ask you some questions. You should also go through a questionnaire via the Internet before this and that speeds up the process. The Donation Process– This shows you how the process works. And remember, you get cookies/crackers for free afterwards. The link also provides some tips before you donate such as hydrating before you go. Currently, the Red cross is giving $5 Amazon Gift Cards to those who donate.